When Linnda Caporael began nosing into the Salem witch trials as a college student in the early 1970s, she had no idea that a common grain fungus might be responsible for the terrible events of 1692. But then the pieces began to fall into place. Caporael, now a behavioral psychologist at New York’s Rensselaer Polytechnic Institute, soon noticed a link between the strange symptoms reported by Salem’s accusers, chiefly eight young women, and the hallucinogenic effects of drugs like LSD. LSD is a derivative of ergot, a fungus that affects rye grain. Ergotism — ergot poisoning — had indeed been implicated in other outbreaks of bizarre behavior, such as the one that afflicted the small French town of Pont-Saint-Esprit in 1951. But could ergot actually have been the culprit? 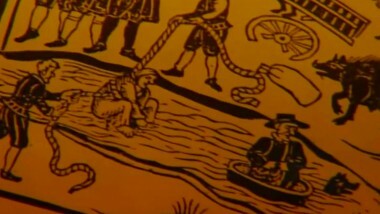 Did it have the means and the opportunity to wreak havoc in Salem? Caporael’s sleuthing, with the help of science, provided the answers. Ergotism is caused by the fungus Claviceps purpurea, which affects rye, wheat and other cereal grasses. When first infected, the flowering head of a grain will spew out sweet, yellow-colored mucus, called “honey dew,” which contains fungal spores that can spread the disease. Eventually, the fungus invades the developing kernels of grain, taking them over with a network of filaments that turn the grains into purplish-black sclerotia. Sclerotia can be mistaken for large, discolored grains of rye. Within them are potent chemicals: ergot alkaloids, including lysergic acid (from which LSD is made) and ergotamine (now used to treat migraine headaches). The alkaloids affect the central nervous system and cause the contraction of smooth muscle — the muscles that make up the walls of veins and arteries, as well as the internal organs. 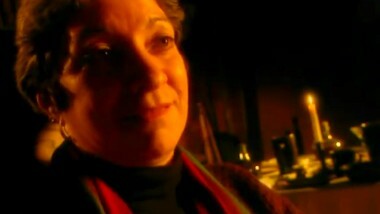 Toxicologists now know that eating ergot-contaminated food can lead to a convulsive disorder characterized by violent muscle spasms, vomiting, delusions, hallucinations, crawling sensations on the skin, and a host of other symptoms — all of which, Linnda Caporael noted, are present in the records of the Salem witchcraft trials. Ergot thrives in warm, damp, rainy springs and summers. When Caporael examined the diaries of Salem residents, she found that those exact conditions had been present in 1691. 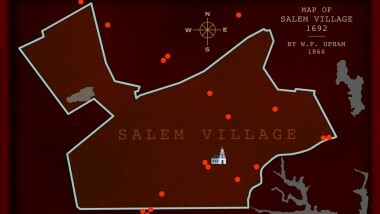 Nearly all of the accusers lived in the western section of Salem village, a region of swampy meadows that would have been prime breeding ground for the fungus. At that time, rye was the staple grain of Salem. The rye crop consumed in the winter of 1691-1692 — when the first unusual symptoms began to be reported — could easily have been contaminated by large quantities of ergot. The summer of 1692, however, was dry, which could explain the abrupt end of the “bewitchments.” These and other clues built up into a circumstantial case against ergot that Caporael found impossible to ignore.